The Shawnee Inn and Golf Resort plans a March 18th opening day for their Island golf course as well as Great Bear Golf Club, just a few miles from the Inn. Shawnee on Delaware, Pennsylvania – At last, it’s the time of year every avid golfer eagerly anticipates - golf season. Off to an early start this year, The Shawnee Inn and Golf Resort plans a March 18th opening day for their Island golf course as well as Great Bear Golf Club, just a few miles from the Inn. Completed in 1911, the 27-hole Shawnee golf course is A.W. Tillinghast’s very first design and boasts a long line of golfing greats who have played the course. 24 of the 27 holes on the historic golf course sit on an island in the Delaware River making quite an enjoyable game. 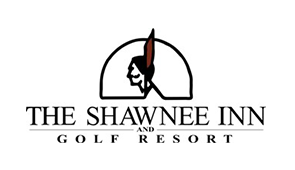 Partnered with Shawnee fairly recently, Great Bear creates additional golf opportunities for Shawnee Inn guests. The semi-private golf club includes the only Jack Nicklaus Signature 18-hole golf course in Northeast Pennsylvania and has been named among the Top 20 best courses in Pennsylvania by Golf Digest. The warm temperatures have allowed for a much earlier opening date than originally anticipated or typically seen in seasons past. To celebrate the golf season kick off, Shawnee offers free golf until April 22nd. Golfers only pay cart fees, which allows for $25 rounds during the week and $35 on weekends. Additionally, first year country club members receive some great perks at both Great Bear and Shawnee. New members enjoy 50% off their first year membership at Shawnee and 35% off at Great Bear. This early start is great news for the two courses and golfers alike. With the warm temperatures and spring weather, Shawnee and Great Bear are sure to be buzzing. Mark your calendars for March 18th because golf season will be in full swing very shortly. The Shawnee Inn and Golf Resort is conveniently located 70 miles from New York City, 100 miles from Philadelphia, 150 miles from Albany, N.Y. and 200 miles from Washington, D.C. Three airports – Lehigh Valley International, Wilkes-Barre/Scranton and Newark International – all are within easy distance of the property. The Shawnee Inn and Golf Resort, rich in breathtaking views, features 80 rooms in the historic Inn, 12 rooms in the Delaware Lodge, plus six suites and three cottages in Shawnee’s luxury accommodation, the Legacy Collection. Shawnee’s varieties of recreational facilities make it an ideal destination for any event. Choose from Shawnee’s 27-hole championship island golf course, golf lessons at the Golf Academy, six-hole lighted Chip and Put Course, skiing at Shawnee Mountain, mountain biking, or hiking on the scenic Appalachian Mountain trails, canoeing, rafting, fishing, kayaking, indoor pool, fitness room, tennis, professional theater, and Spa Shawnee and Salon.